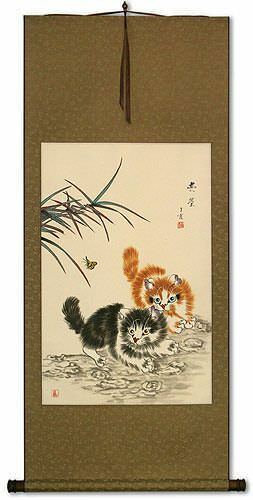 A bug of some sort has caught the attention of one of these frisky kittens. 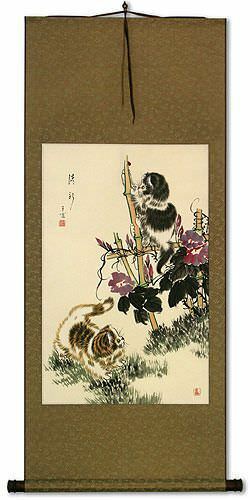 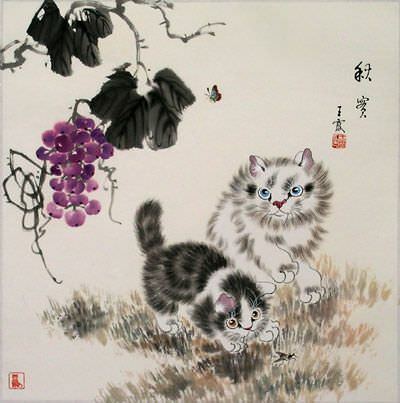 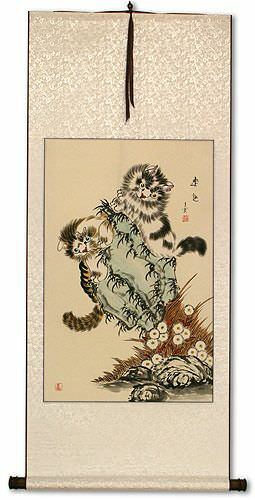 The actual title of this piece is "Qiu Shi" which means "Autumn Fruit" which refers to the grapes in the background of this painting. 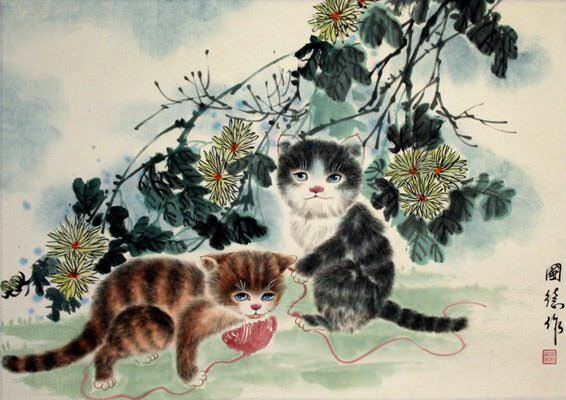 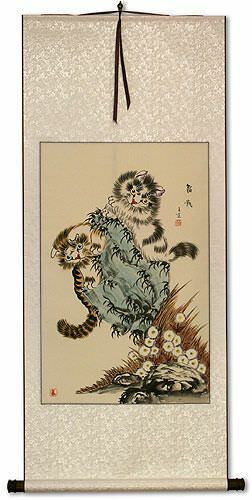 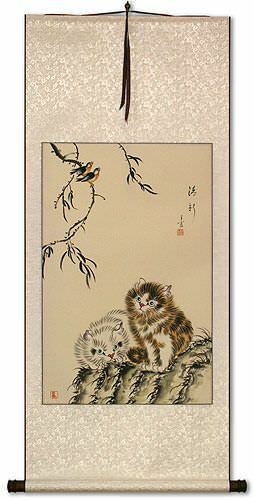 This is one of a handful of kittens and butterfly paintings that I picked up on a recent trip to Jinan, in Shandong Province (about five hours by train from my home in Beijing). 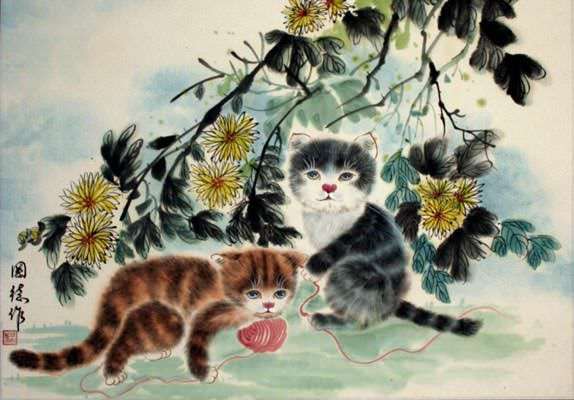 The artist's name is Wang Xia.